Art and Heritage Place was built in 2000 as a place to commemorate the tradition and history of the arts and is open to the public. It covers 9,600 square feet of space and houses the Haehn Museum and Whitby Gift Shop. Tuesday – Friday: 12 p.m. – 4 p.m.
Saturday: 10 a.m. – 3:30 p.m. Visits outside regular hours are arranged, as requested. For more information, call (320) 363-7113 or (320) 363-7100. Whitby Gift Shop and Gallery boasts a large variety of items for sale, many handmade by the sisters. You will find scarves, cards, jewelry, artwork, religious items and more. The gallery is home to an eclectic collection of art either created by the sisters or selected from the sisters’ heritage collection. Most are available to purchase. The Haehn Museum is home to nearly 7,000 artifacts, dating back to 1857, which document the lives and ministries of the Sisters of Saint Benedict. 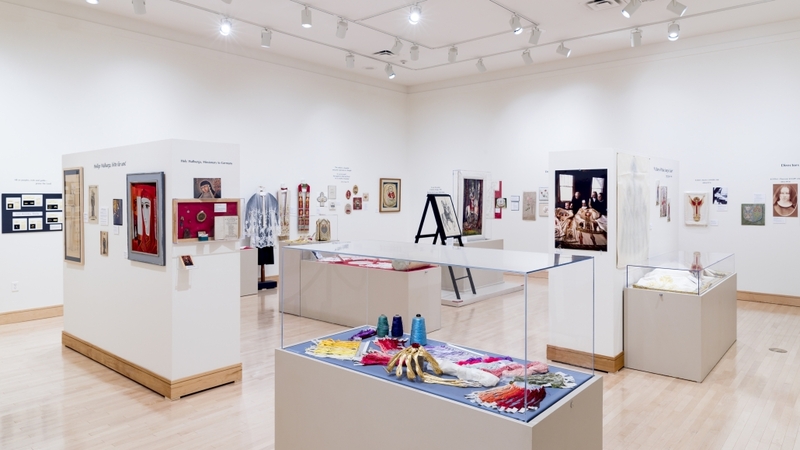 Exhibits capture and portray the strong cultural, social and religious influence the Benedictine sisters have had in their ministries locally, statewide, nationally and internationally, both past and present. The museum was named after Sylvester and Jacquie Haehn, who were major donors for its construction. Since the opening of the Art and Heritage Place, visitors have come from all 50 United States and approximately 60 countries. Most of the visitors are from Minnesota and find they learn something new about the sisters and the monastery with each visit. School groups, college classes, adult groups, organizations and individuals are welcome. Visits outside regular hours are arranged, as requested. Come, join us! 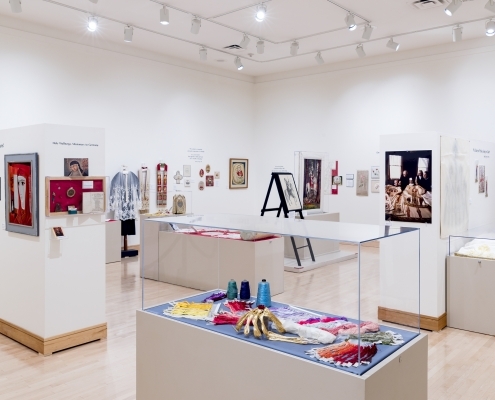 Exhibit extended until December 2019! 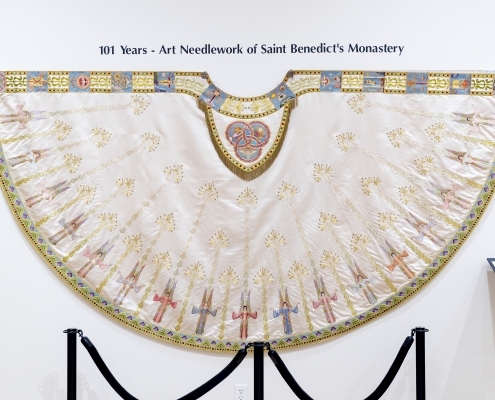 “It’s All God’s Work” features the art needlework department of Saint Benedict’s Monastery, which was active for 101 years—from 1867 to 1968. The exhibit gives special recognition to Justina Knapp, OSB, who was director of the department for nearly 50 years. 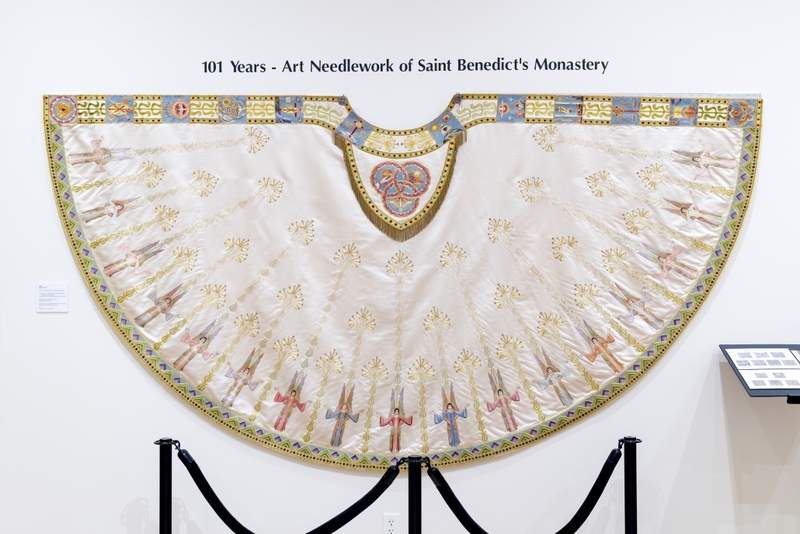 Many items of liturgical vesture are displayed, as well as drawings and other pieces of exquisite embroidery. 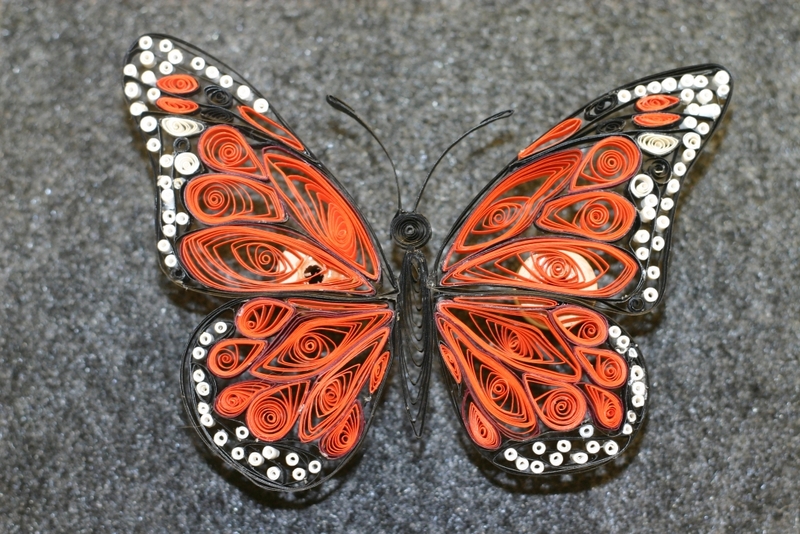 This is a one-of-its-kind needle arts collection you will want to see! 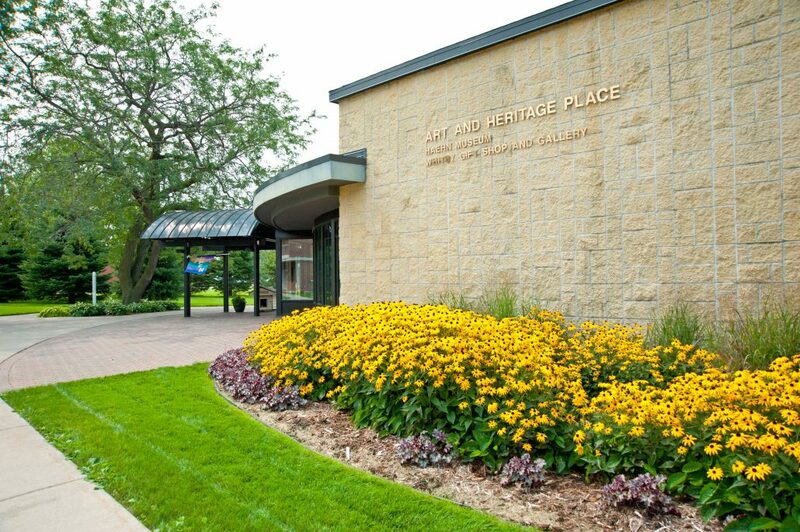 Volunteers provide hospitality in the lobby of the Art and Heritage Place, welcome visitors, invite them to view the exhibition, sign the guest book and assist the museum staff by tallying the number of visitors. These and other volunteer opportunities are coordinated through the volunteer office. Artisans have always had a place in Benedictine monastic tradition. In Chapter 57 of his Rule, Saint Benedict speaks of the desired humility in the community’s artisans. They may create items which are useful or pieces which grace the monastery in beauty. They pursue their craft for the sheer love of doing it – to make an article of beauty and to share the fruits of their work with others. 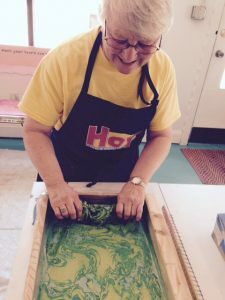 Sister artisans paint, sew, quill, tat and make paper, scarves, candles and a host of other items. 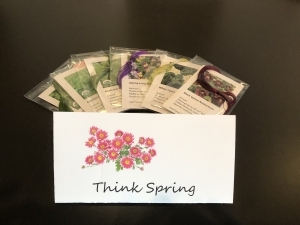 These art pieces, both beautiful and useful, are sold at the monastery gift shop in the Art and Heritage Place at Saint Benedict’s Monastery and Saint Scholastica Convent Gift Shop. Artisans in their creations, and all who view or use them, are encouraged and motivated by Benedict’s comment on the role of artisans: “That in all things, God may be glorified” (1 Peter 4:11 quoted in the Rule of Benedict 7:9).